A Silversea Butler offers to unpack your luggage, hang clothing and even set out personal items. 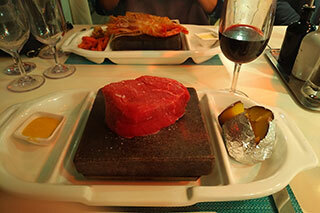 Hot Rocks invites guests to cook their food directly at their table. Hosting exciting exhibitions, the Arts Café will showcase paintings and sculptures from a broad range of talent. Come early evening, the venue turns into a lively, evening cocktail lounge. 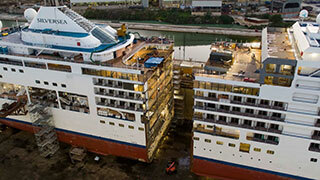 Silver Spirit - The first luxury cruise ship to be extended in modern history. 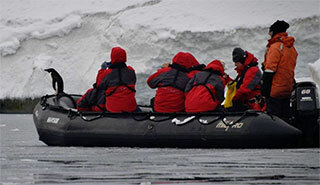 On a Silversea expedition, you never know when a penguin is going to hop on board your zodiac! I am a big fan of Silversea Cruises. And I have been fortunate to sail on its fleet often. 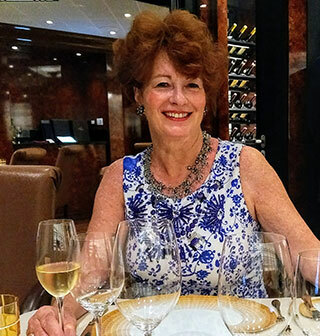 Silversea has always been a top-notch luxury, all-inclusive brand but there is something different in the air these days and I believe the line is getting even better – particularly in the area of cuisine and service. Silversea has recently announced Canadian dollar pricing – which should help the line find an even larger audience here. And with an almost ridiculously low rate of a 1.13 US exchange rate, this is the time to take advantage of such pricing. It’s for the “inaugural” year of the Canadian pricing roll-out and a bit of a steal – so embrace it and advise your clients. 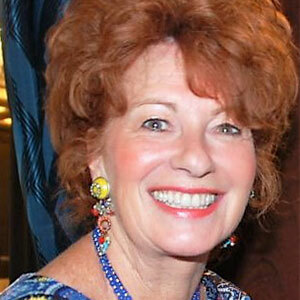 Once they cruise you know they will return – and importantly, they will refer. Another important factor on the Muse is the number of restaurant options ranging from casual deck-dining to the finest in French cuisine. I really enjoy Hot Rocks on the pool deck where you cook your own tasty seafood or meats (can’t complain about the rareness of one’s beef), the always popular and iconic La Terrazza for all meals and al fresco dining, plus Asian Fusion, Sushi, a Supper Club, the intimate La Dame French restaurant of the highest calibre partnered with Relais & Châteaux, and a relatively small “main” restaurant, L’Atlantide. A totally new addition to the Muse was the Arts Café for casual coffees and snacks. Not only is this spot a big hit and one of the most attractive venues on board, it offers inside and outdoor deck areas. 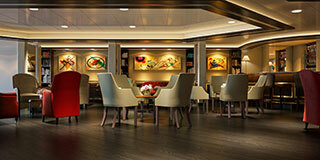 The Arts Café is also a new addition to Silver Spirit,which has just had an extra 49 feet of length added to its middle. Most of us don’t want anything extra in our middles but this is quite an amazing feat and Silversea becomes the only luxury line to have lengthened a ship. The Spirit now has more dining options and more suites – 34 in all and in 3 categories -- and has just set sail looking much more like a “sister” ship to the Muse. With another ship coming in 2020, the Silver Moon– there is indeed a lot going on with this brand. Did I mention Silversea is now pricing in Canadian dollars at a very special exchange rate? And as a bonus for your clients, free, unlimited standard Wi-Fi is now included with all suite categories. That is a valuable offer and yet another selling point. Silversea is also highly regarded for its Expedition Fleet, now featuring four ships after the recent crossover from the Classic Fleet of the Silver Cloud. She was enhanced into an ice class vessel – to the tune of US$40 million -- and cruised in Antarctica this past winter. She carries 16 Zodiacs as well as 10 kayaks for the very popular kayak polar expeditions. Another first on Silver Cloud and a big plus for your clients seeking to immerse in each destination is a photo studio which enables content editing onboard, ideal for those up-close-and-personal penguin moments. There are classes on offer and a dedicated photo manager to assist with digital photography. Where better to hone skills than on a far-and-away expedition cruise on the Cloud, or her fleet mates, Silver Explorer, Silver Galapagos or Silver Discoverer? There will only be 200 guests on polar cruises and all guests will be able to disembark at one time to explore – an important factor. 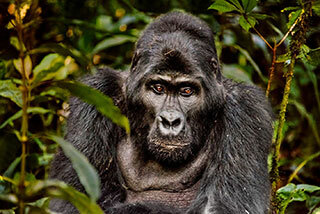 A guest capacity of 254 is planned for other expedition cruises to a diverse array of wonderful lands. Speaking of faraway lands, the two currently available World Cruises for 2019 and 2020 are selling like hotcakes – especially the one in 2020 which visits all seven continents, stops at 62 ports of call in 32 countries and is at sea for 140 days. Both World Cruises are on the Silver Whisper,which will go into a preparatory dry-dock in December so she is “fluffed and buffed” for her 19JAN departure. Silversea is focused on destination immersion, offering guests more than a glimpse of authentic beauty. With 965 different ports being visited by Silversea ships, you can see this is not just talk. A recently announced partnership with renowned photographer Steve McCurry is another demonstration of Silversea offering your clients a way to cruise and collect memories and images that last a lifetime. A great opportunity for that will be when the Muse heads to Alaska for the first time in 2019. As well as the Canadian dollar deals and free Wi-Fi, Silversea offers some kind of air incentive on each itinerary, whether it’s well-priced, biz class air or something else. Check that out too. As you can see there is a great deal going on at this luxury cruise line – lots of great itineraries prepared with thought and effort, even more inclusions and a constantly upgraded and beautiful fleet. And all that comes with more dining choices and probably some of the best and most charming, intuitive service I have ever received.